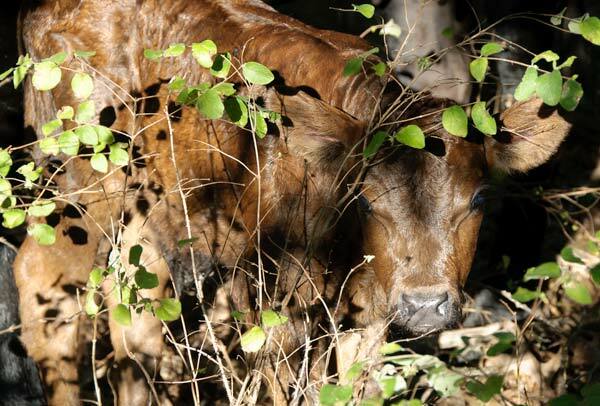 There I was, wandering around in the pasture, checking every tall stand of grass and cluster of brush for the day-old calf that was hiding somewhere out there in the pasture. And I saw this . . .
Rosie apparently had a bad itch. Her daughter, one of the twins from two years ago, helped her scratch it. Actually, she licked it better. It’s a weird way to deal with an itch but I suppose creatures without fingers and opposable thumbs have to work with what they have. I did eventually find that calf. NextGM salmon on your plate? 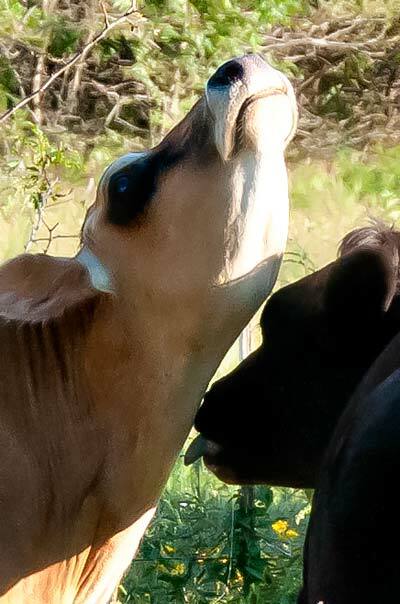 Aren’t cow tongues rough and scratchy? If I’m right…should feelllllll really gooood to have a itch that can’t be reached so scratched. We never found the llittle one when we searched. I am proud of you,eagle eye!!! Hi, I just found you through CITR and am in love with your property. I live in another land of MOO (holsteins) in St. Helens, Oregon. 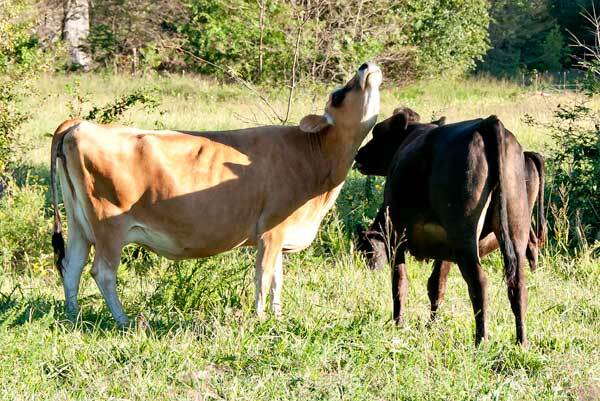 I can never get the cow to lick where the itch is, can you? Lisabeth – Mine lick what they can reach, and I try to make sure that’s not me when they’re in a licking mood. Love my cows but I could do without the cow slobber.